It's not a coincidence that these girls look alike -- they're twins! This was taken at the Torigoe Shrine Festival in Taito ward. 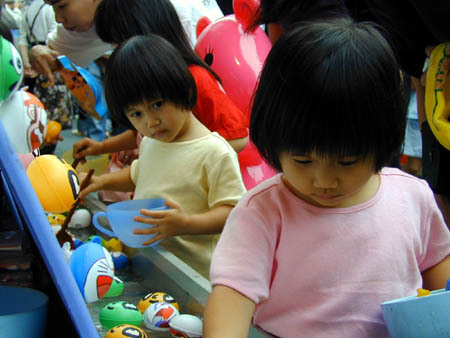 It'd be great to be a small kid in Japan and have these kinds of wonderful festivals to look forward to.